You probably remember MINI from the small MINI Coopers that defined fuel efficiency and compact cars in a post World War II era. 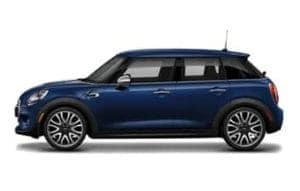 Fuel efficiency has always been a staple of the MINI brand, and the compact vehicles are still an important part of the MINI family; however, there is more behind MINI besides being compact and fuel efficient. Below are some of the other elements that make MINI appeal to countless motorers. As you consider MINI, our staff at Otto's MINI wants you to remember two things. First, MINI is one of the top performance vehicles available. With it’s world famous handling and countless safety features, your motoring is guaranteed to be smooth, responsive, and safe. Second, MINI is no longer just a compact two-seater. 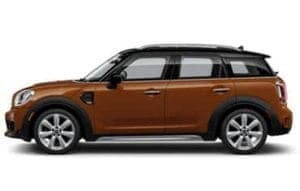 Between the adjustable elements in the cabin and the size options available in the sophisticated and spacious Clubman and the adventurous Countryman, MINI is the perfect vehicle for a family of four and can accommodate any MINI journey! The MINI Countryman forges new ground, being the biggest, most adventurous MINI yet! It offers world-class performance engineering, available ALL4 all-wheel drive, innovative new technology, and even more room for passengers, gear, and the countless stories that each new mile will bring. 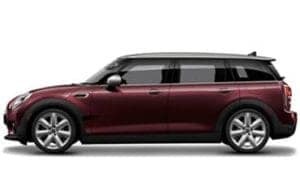 The MINI Clubman ushers in a new era of sophistication with comfortable seating for five, iconic split rear doors that open with a foot-activated sensor, and a top-shelf interior outfitted with premium materials and cutting-edge technology. The turbocharged motoring icon, with double the doors. Powered by a MINI TwinPower Turbo engine, this Hardtop is loaded with premium features, ferocious handling, and is built for sharing. Or for having a little more MINI all to yourself. The perfect catalyst for opening yourself up to all life has to offer. 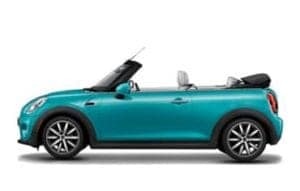 The newest MINI Convertible improves on its predecessor with the latest performance engineering, a more spacious, high-end interior, and – as always – unlimited headroom.